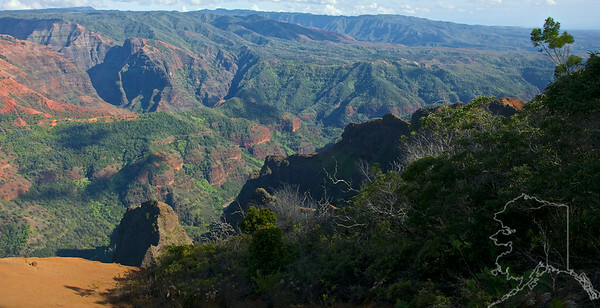 Waimea Canyon State Park, Waimea Canyon, also known as the Grand Canyon of the Pacific, is a large canyon, approximately ten miles long and up to 3,000 feet deep, located on the western side of Kauaʻi in the Hawaiian Islands of the United States. 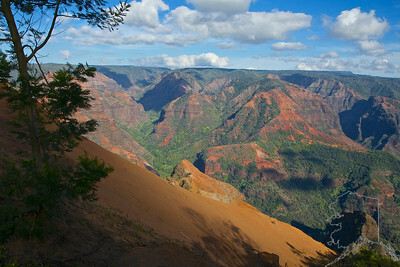 Waimea is Hawaiian for "reddish water", a reference to the erosion of the canyon's red soil. 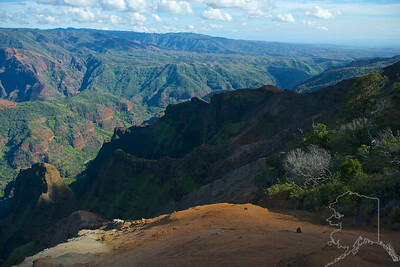 The canyon was formed by a deep incision of the Waimea River arising from the extreme rainfall on the island's central peak, Mount Waiʻaleʻale, among the wettest places on earth. 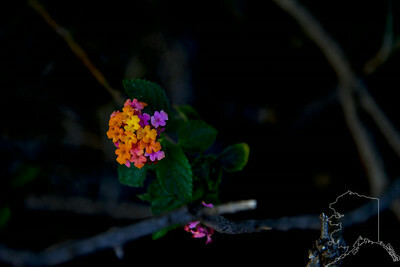 A set of little flowers at Waimea Canyon State Park. 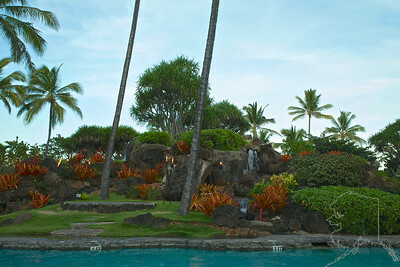 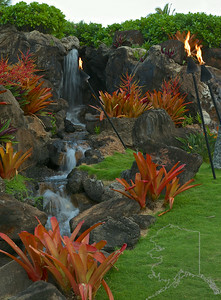 Kauai Beach Resort grounds around the pool area. 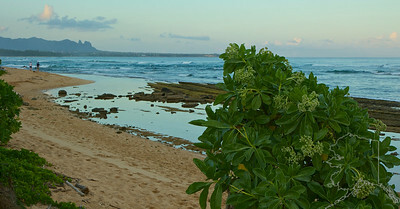 Kauai Beach Resort, This is their beach right off the grounds. 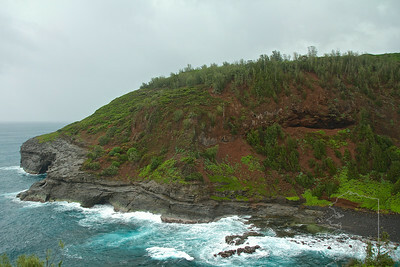 Kilauea Lighthouse Built in 1913 as a navigational aid for commercial shipping between Hawai‘i and the Orient, Kīlauea Point Lighthouse stands as a monument to Hawai‘i’s colorful past. 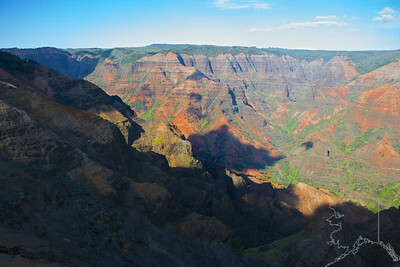 For 62 years, it guided ships and boats safely along Kaui‘i’s rugged north shore with it’s signature double-flash. 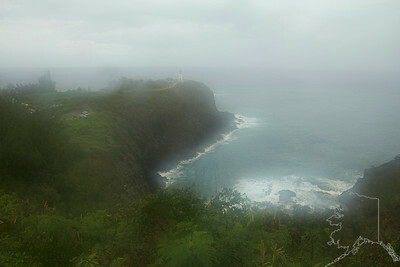 In 1927, the lighthouse played a key role in the first trans-Pacific flight from the West Coast to Honolulu by reorienting the two lost pilots of the Bird of Paradise. 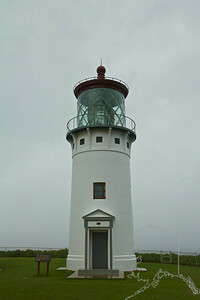 In 1976, the Coast Guard deactivated the lighthouse and replaced it with an automatic beacon. 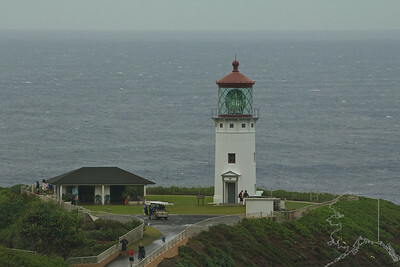 In 1979, the lighthouse was placed on the National Register of Historic Places. 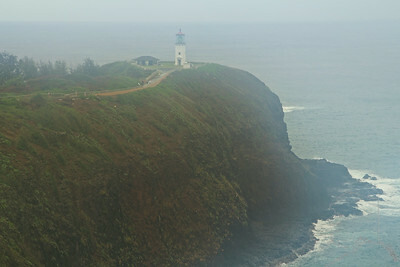 Dedicated volunteers keep the lighthouse functional and on rare and special occasions, the Kīlauea Point Lighthouse lights the sky above Kaua‘i’s north shore. 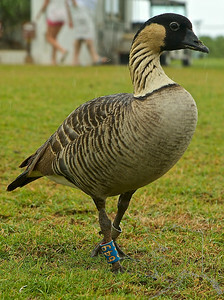 The Nene, also known as Nēnē and Hawaiian Goose, is a species of goose endemic to the Hawaiian Islands. 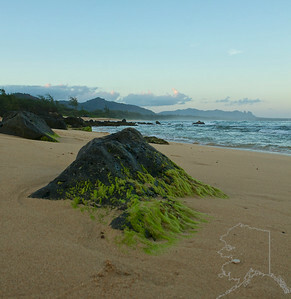 The official bird of the state of Hawaiʻi, the Nene is exclusively found in the wild on the islands of Maui, Kauaʻi and Hawaiʻi. 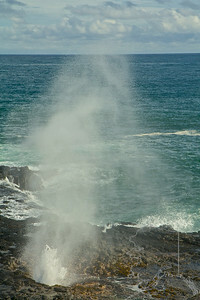 Spouting Horn Beach Park is a delightful lookout where you can watch a blowhole spout a plume of sea water into the air. 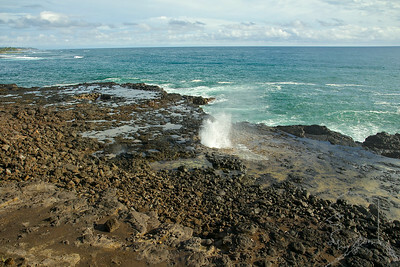 This occurs whenever waves are forced under the lava shelf and up through an opening in the rocky coast. 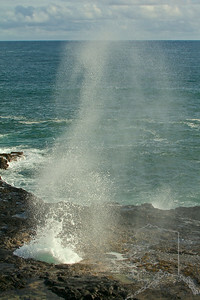 Depending on the tide and ocean conditions, the water may spout as far as 50 feet into the air. 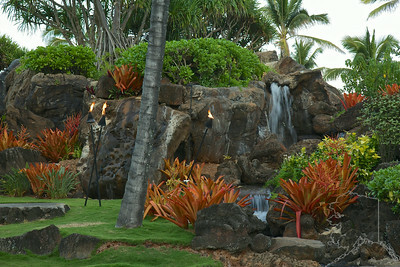 If the light is right, you may be able to catch a rainbow in the sea spray. 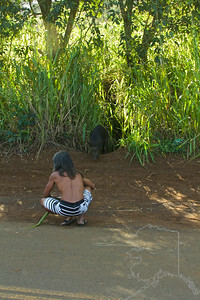 A local Hawaiian is trying to lure a wild pig out of the grass. 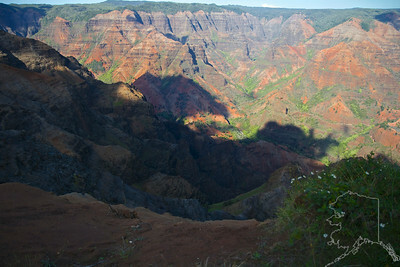 The pig is in great danger and does not know it. 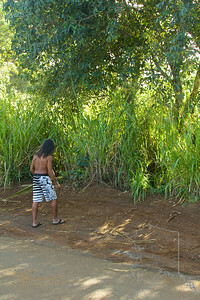 If you look the Hawaiian native had a knife in his hand and is thinking about dinner. 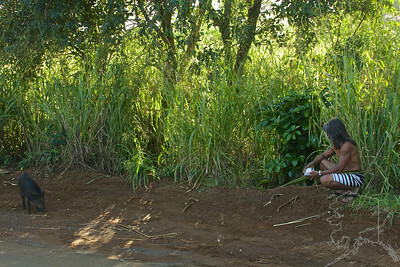 The pig wins this confrontation by running back into the tall grass. 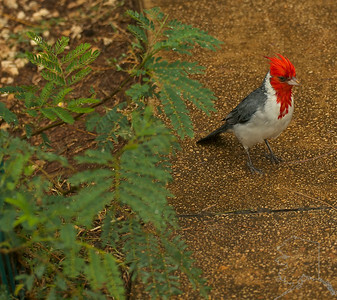 I was trying to get a few good images of this bird. 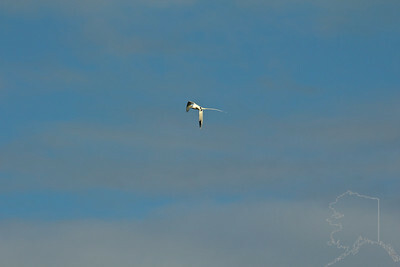 I was told it was a White-Tailed Tropic bird. 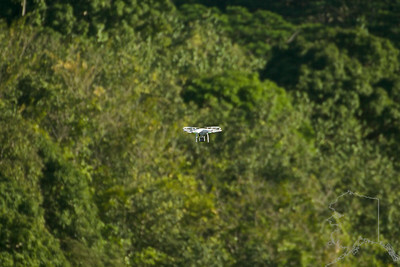 It few beautifully and was flying near a water falls. 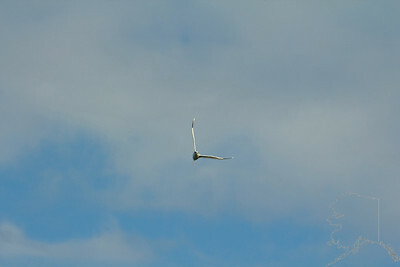 Then something scared it away. 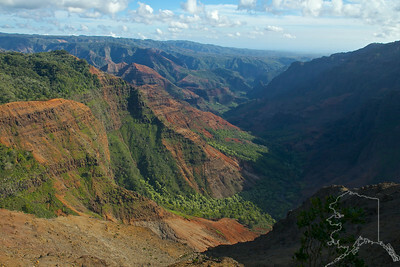 Look at the last two images and you will see. 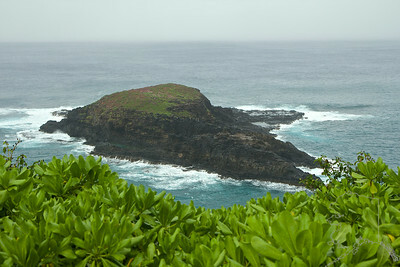 This is what scared the White-Tailed Tropic bird off. 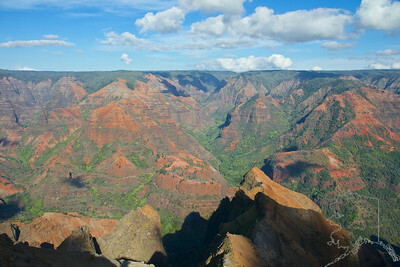 So I took a picture of it. 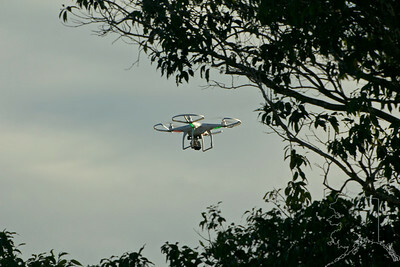 Not a UFO but a Go-pro drone.